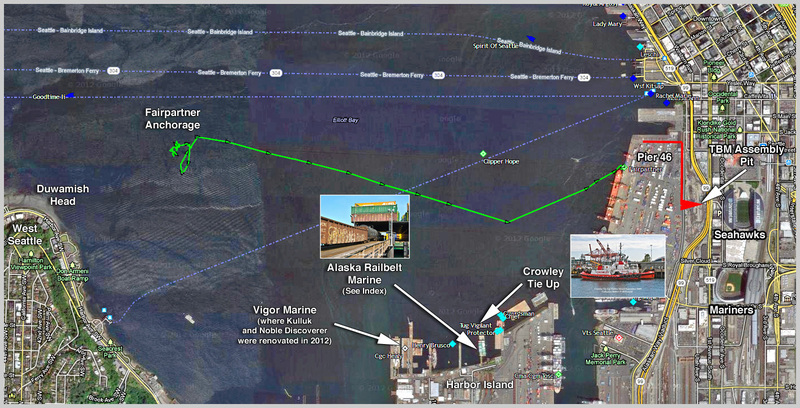 Oil-Electric: Unloading Bertha TBM Has Begun! Unloading Bertha TBM Has Begun! 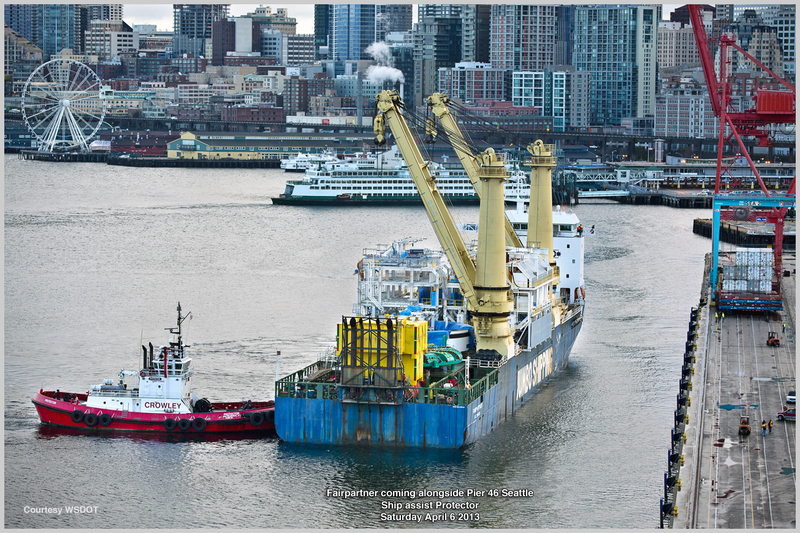 The Fairpartner moved to Pier 46 in Seattle today (Saturday) to begin off loading "Bertha." 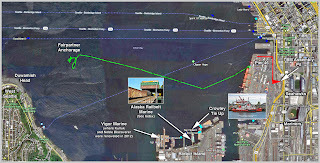 Once she has been re-assembled in a nearby pit, the Tunnel Boring Machine will begin drilling Seattle's SR99 replacement route beneath Seattle. 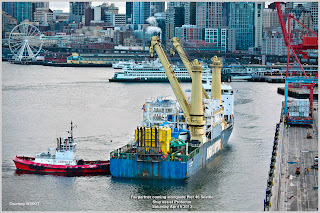 Most recent was the transport of Seattle's Tunnel Boring Machine. 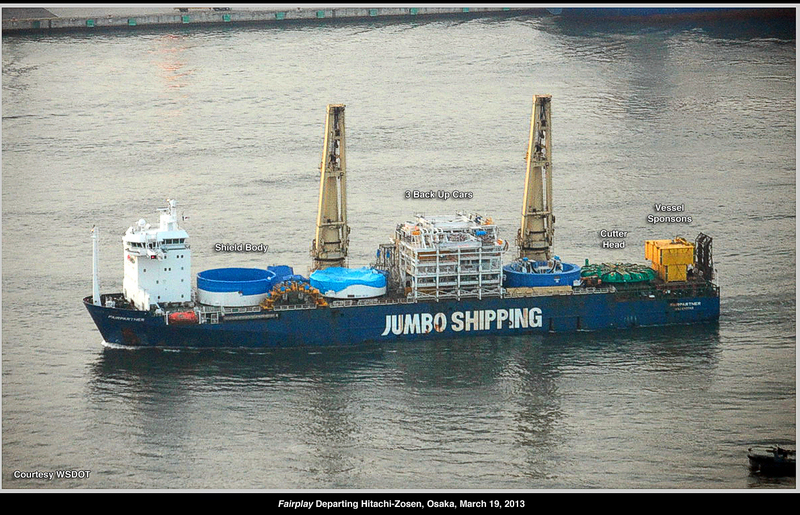 Jumbo just released photos and a time-lapse video of loading the 7,777 ton machine. As you watch the video, note that once the hold is full, her deck is "reinstalled" to load the remaining pieces. Another item of interest is the placement of a sponson. 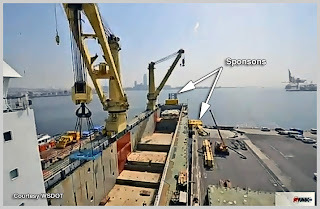 The sponsons - yellow boxes - are carried on the stern of the vessel. A sponson fits into a notch on the vessel. When filled with sea water, it broadens the effective beam and stability of the vessel, allowing the cranes to lift TBM parts off an adjacent barge. 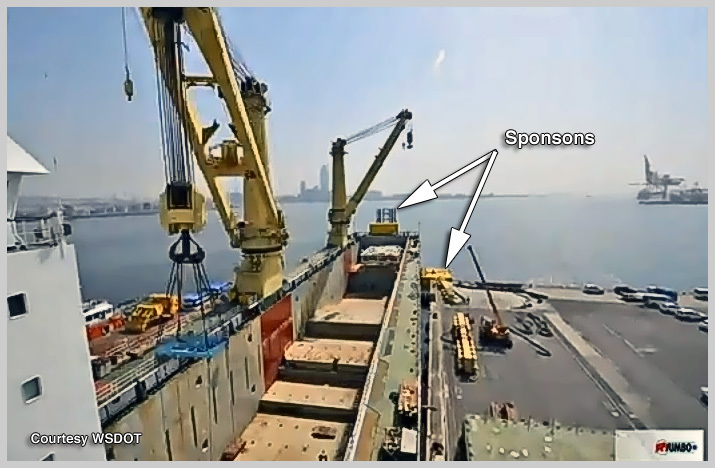 • At 0:45 into the video, the second sponson has been deployed as the lifts become heavier. • At 1:09 Shield Body lifted by front crane. 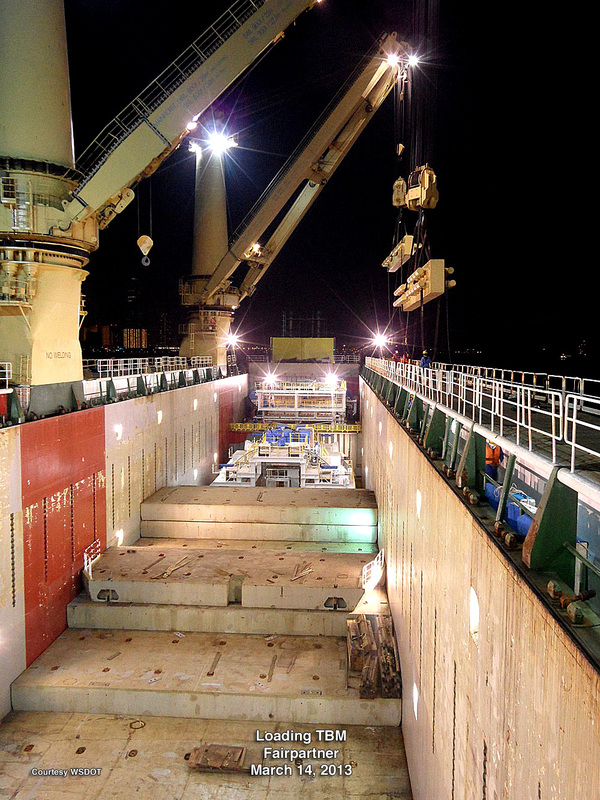 • At 1:25. stern pedestal crane lifts green 900 ton Cutter Head onto deck. • At 2.00 Support Cars lifted onto center deck. Unlike packing your car for a vacation, each of the more than 40 "packages" is measured and weighed. 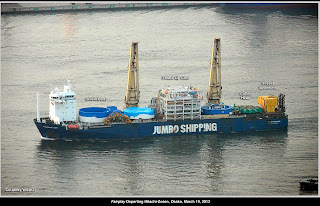 A loading plan is produced to distribute the weight and insure maximum use of the vessels hold and deck area. Even the weight of crew and supplies is included in calculating the load configuration. "Big Boy Toys" will be employed to transport TBM components to the assembly/start pit. A Goldhofer PST unit is shown here, being prepared for the big moves. Features 96 axles and 800 tires.